Today I’m joining in a fun cheesecake event! Myself and 15 other bloggers lots of other bloggers (we’re in a celebrating mood!) are all celebrating Camilla’s (from Culinary Adventures with Camilla) 15th Wedding Anniversary! It’s always so inspiring to see people celebrating a milestone marriage and sticking it out through thick and thin! 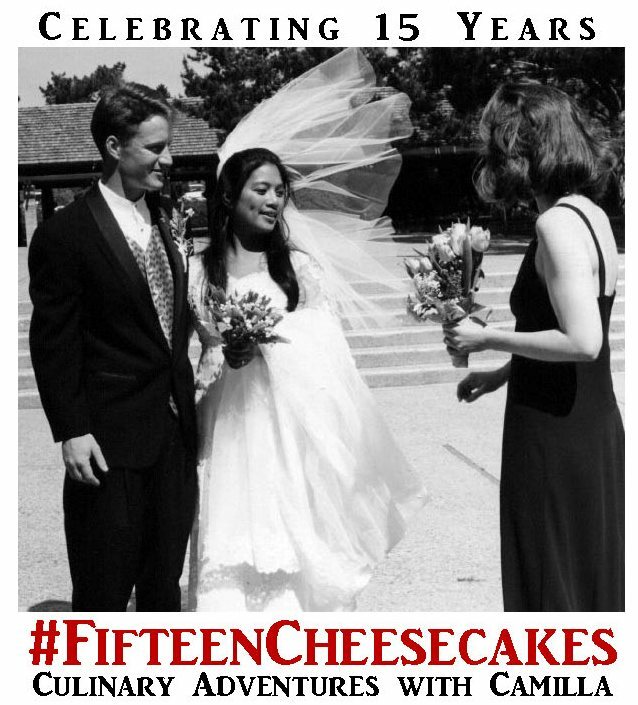 When they got married, Camilla & her husband served cheesecake instead of the traditional wedding cake and that is why we’re sharing cheesecakes today! 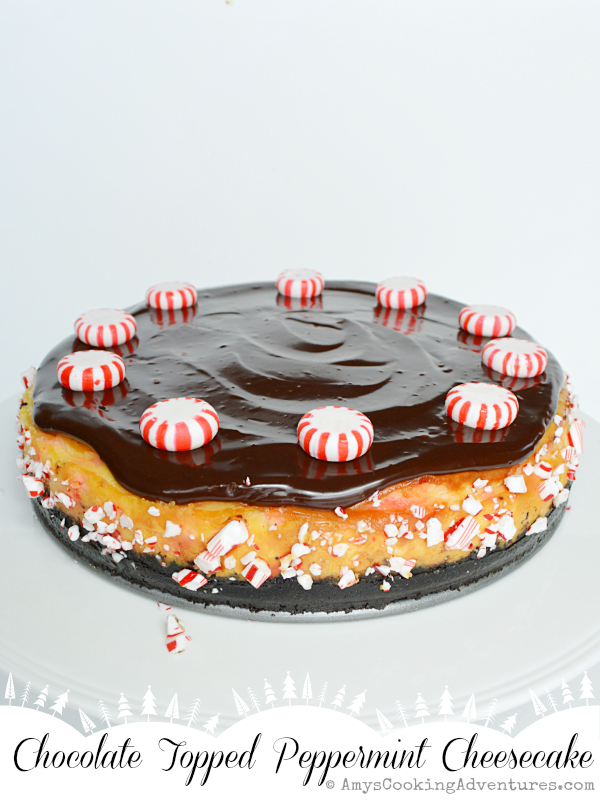 I’m bringing a delicious Chocolate Topped Peppermint Cheesecake to the party! The cheesecake has one of my absolute favorite flavor combinations: chocolate & peppermint! The cheesecake is silky smooth with little bursts of peppermint and topped with a decadent chocolate ganache. Happy Anniversary, Camilla and congratulations on 15 years! Preheat the oven to 350 degrees F. Spray a springform pan with cooking spray and wrap the bottom of the pan (on the outside) with foil. Place the Oreos in the bowl of a food processor. Process the Oreos to a fine crumb. Add the melted butter and process until combined. Press the Oreo mixture firmly and evenly into the bottom and slightly up the sides of the prepared springform pan. Bake for 10 minutes, then remove from the oven and set aside. Meanwhile, beat the cream cheese until smooth. Add the sugar and beat until light and fluffy. Add in the extracts and sour cream and mix until combined. Add the eggs, one at a time, blending each one completely into the mixture before adding the next. Scrape down the bowl and stir in the crushed peppermints with a spoon. Pour the mixture into the springform pan on top of the cookie crust. Place on the preheated oven and cook for 60-75 minutes or until the center is set. Cool on a wire rack to room temperature. Then lightly cover and refrigerate overnight. To make the ganache topping, place the chocolate in a bowl. Heat the heavy cream on the stovetop or microwave until steaming. Pour over the chocolate and stir until smooth. Remove the cheesecake from the springform and pour the ganache over the cheesecake. Press the crushed peppermints onto the sides of the cheesecake and decorate the top with whole peppermints. Refrigerate for 1 hour or until ready to serve. 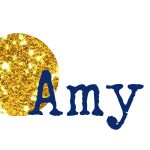 Holy wow, Amy. That looks SO tasty. Thank you so much for helping me celebrate my 15th anniversary. Looks as if I have a lot of cheesecake recipes to try. Soon! Chocolate and Peppermint is always a winning combo Amy. This looks lovely and would be perfect around the holidays! Oh that cheesecake looks DREAMY!! Love the flavor combination - and that ganache? Beautiful! Oh my heck! Your cheesecake looks heavenly! Definitely going on my to make list! I love the chocolate and peppermint combo! I LOVE peppermint and chocolate. This looks right up my alley. Oh my word! chocolate and peppermint together is perfect! Yum! 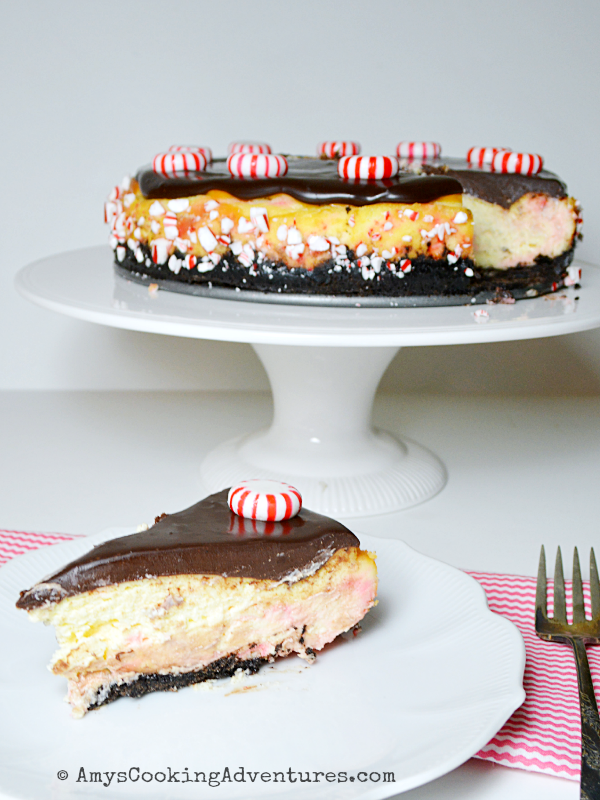 Wow, your cheesecake turned out really pretty with the peppermint candies on top! Chocolate and mint, what a great combo. Saving this for the holidays!! Great recipe.